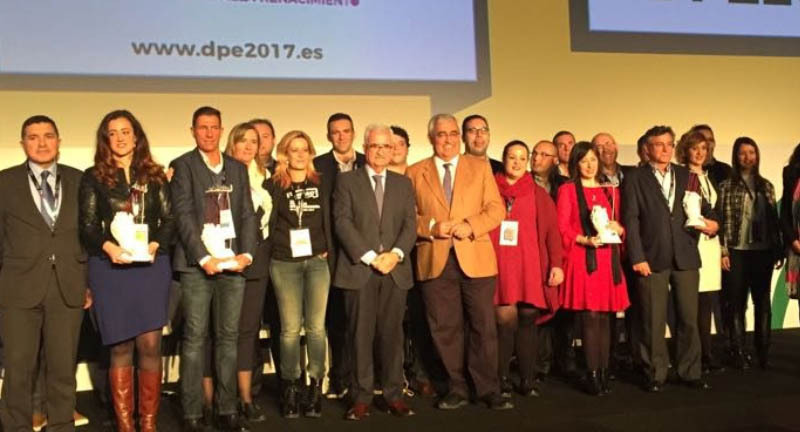 Grupo Nueva Dietetica actively participated in the Entrepreneur Day by presenting a new industry model in which technology and innovation are at the service of health and well-being. The vice-president of the Regional Government and minister of the Presidency, Local Administration and Democratic Memory, Manuel Jiménez Barrios, has valued the entrepreneurial spirit of the young Andalusians that ‘fills the Government with pride’ and ‘makes Andalusia great’. Jiménez Barrios and the Minister of Economy and Knowledge, Antonio Ramirez de Arellano, today presented the awards at the Entrepreneur Day in Andalusia, which was held at the Barceló Renacimiento Hotel in Seville.